Are you planning on moving to or from the E14 Canary Wharf area? Have you left booking a removal service to last minute? 24h Removals Canary Wharf E14 are here to support you through this tough time. 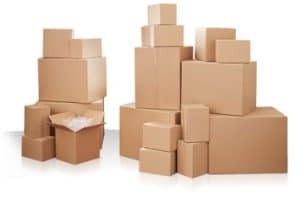 We provide you with a local removals team that could turn up in a few hours. 24h Removals Canary Wharf accept all types of jobs whether it be large or small. All our staff are fully trained to serve you to the best of their standards. We make sure to take care of your belongings as if they were our own. We thrive on your satisfaction. Removals E14 accept all positive and negative feedback. Over the years we have perfected as many downs our business have had. If you would like to receive a personalised quote please contact us on 02082264440 as our team are available 24 hours and are here to support you. E14 Removals will try to adjust themselves to what you may require. If you have any additional needs please do contact our team and find out whether we can support you. Our emails are replied to daily so send us an email to info@24hremovals.co.uk and we will reply to you within a couple hours. If you have an emergency then contact us by phone and we will have a team to send out ASAP.